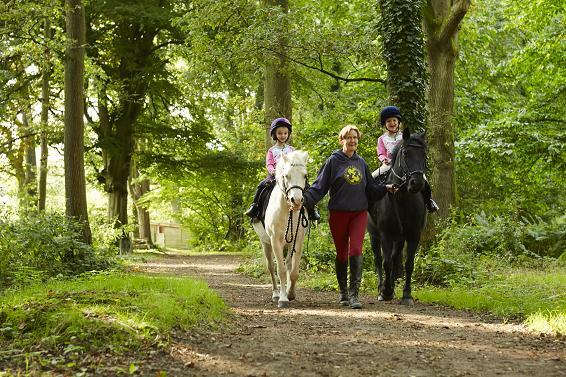 For beginners and small children we can provide walks in the woods, a half hour ride which is a great introduction to ponies and riding. Vouchers for walks in the woods are available and make great presents for pony mad children! The children are introduced to their pony and learn how to mount and hold their reins. They are then off on their half hour walk through our picturesque woodland on or off the lead rein. We find this is the best way for beginners to get to feel how the horse moves and build up confidence before beginning lessons.